Manchester, UK – 23 October 2014 - dock10, the MediaCityUK-based media services provider, has welcomed back Wall to Wall’s The Voice for its third run at the Manchester based studios. The BBC One Saturday night primetime talent show has just completed the recording of its blind audition stages and will commence with the battle and knockout stages mid-November through to the beginning of December. 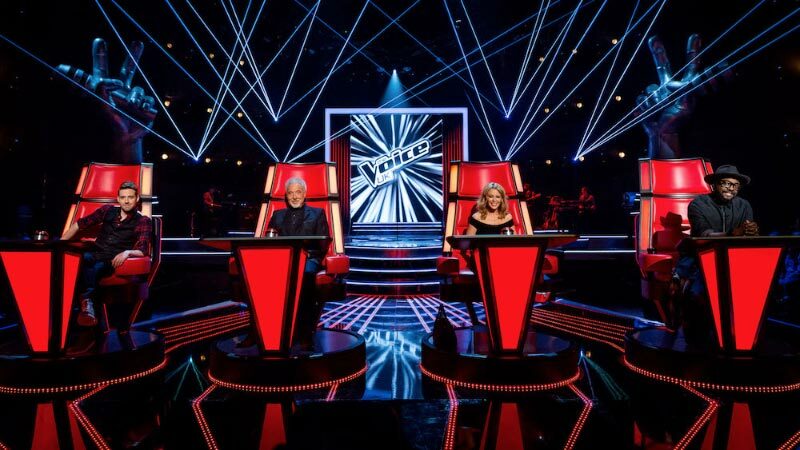 The fourth series of The Voice is being filmed in dock10’s largest HD studio, HQ1, where other high profile productions such as Sports Personality of the Year have been recorded. The 12,500 sq. ft. facility is one of the largest purpose built HD studios in Europe. As well as using dock10’s impressive HQ1 studio, where hopefuls will fight it out to become the next Voice, Wall to Wall have taken advantage of dock10’s surroundings which feature as creative backdrops for the show. The Voice will be sent digitally to ENVY, who will provide post-production services on the show. Andy Waters, Head of Studios at dock10, comments; "The return of such a high profile show is a testament to the high quality services dock10 has to offer. We are really pleased to have those famous big red chairs back and are looking forward to the next stages beginning. Big productions like The Voice are exactly what the HQ1 studio was built to accommodate."